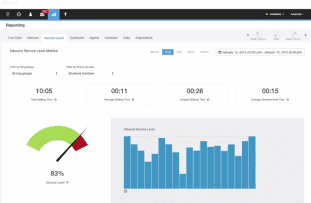 It’s easy to setup agents from an admin perspective and the live feature makes live tracking easy. Also their support team is quick to respond and very helpful. However, we are regularly needing to troubleshoot basic functionality issues with agents (e.g. agent comes back from lunch and their audio isn’t working). Also, the IVR could be more robust and allow us to test different flows. Pros: Easy agent setup and good live dashboard. Cons: Struggles with basic agent functionality. Very simple to use and effective. I use it everyday at work. The call quality is outstanding, makes everything easy for any phone work. 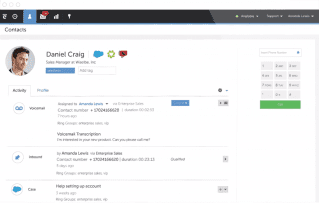 I use Talkdesk to listen to recordings of inbound and outbound calls for fraud prevention purposes. It is very simple and easy to use. I’ve encountered a few instances where it freezes or the recordings would not play but overall I am satisfied with it. The user interface design could use a little work too. Features are kind of limited at the moment but they working on to stuff constantly. Very responsive. Great for growing contact centers. Excellent tool, simple and easy to use…. Excellent tool, simple and easy to use. 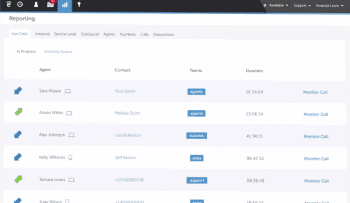 Great for reporting and managing agents. Teaching this product is one of the most straight forward lessons and agents pick it up quickly. It makes the job easy! 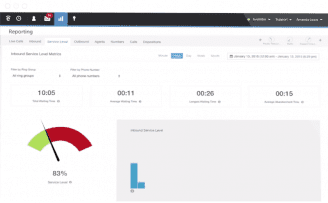 With the ability to filter calls and send them to the right people, the visibility to manage queued call times, and the stats that are so easily accessible. Excellent tool, simple and easy to use. Great for reporting and managing agents. Teaching this product is one of the most straight forward lessons and agents pick it up quickly. It makes the job easy! 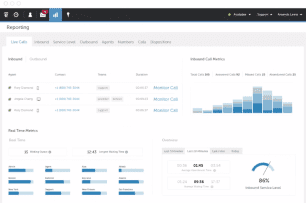 With the ability to filter calls and send them to the right people, the visibility to manage queued call times, and the stats that are so easily accessible. 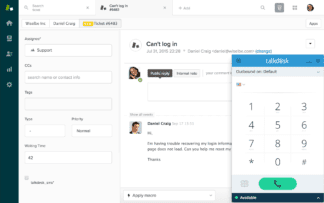 Founded in 2011 by CEO Tiago Paiva, and originally launched in May of 2012, Talkdesk aims to disrupt the usual, old style legacy contact center offerings in the market. Originally spawned out of a Twilio contest, the platform that is now known as Talkdesk was built using Twilio’s API in just 10 days. The company, and platform, has since grown to support over 1,000 customers worldwide. 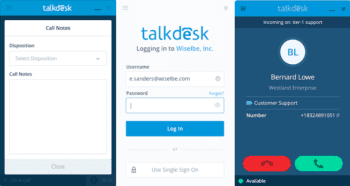 As the next-generation, cloud-based contact center software available, Talkdesk helps bridge context with phone based support. 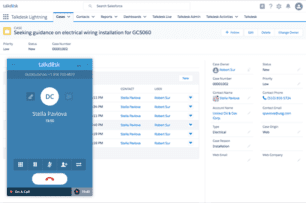 Talkdesk offers enterprise level contact center functionality with the advanced features users would expect, yet can still be quickly and easily deployed even without phones or any hardware. 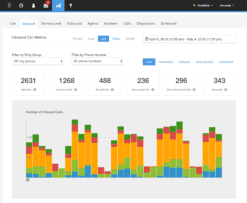 The web-based interface allows users to access and configure robust, enterprise-level functions like comprehensive reporting and seamless integrations. With so many resources at their disposal, Talkdesk empowers contact center managers to make data-driven decisions, while empowering agents to have personalized, effective conversations with customers. Most Popular Plan: Professional, $65/agent/mo, (minutes sold separately). With humble beginnings, Talkdesk has grown from a simple app built in 10 days, driven by Twilio’s API for limited function. 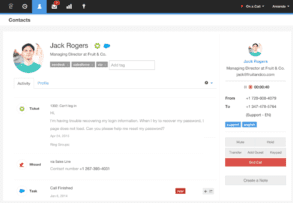 While the platform still does have a close relationship with Twilio, as the platform leverages WebRTC technology with Twilio telephony – Talkdesk is a standalone solution that revolutionizes the contact center offerings. 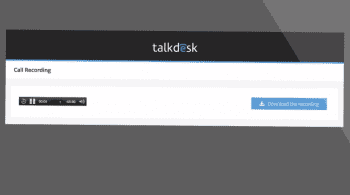 Bringing advanced, robust and sometimes complicated contact center functions to the masses, living directly in your web-browser is the main focus of Talkdesk. Since their start, Talkdesk has been collecting funding to help reach its goal. Starting with $450,000 from 500 Startups and one angel investor in 2011, up to $21 Million in Series A funding from DFJ, Salesforce Ventures and Storm Ventures, Talkdesk is no stranger to the industry, and even managed funding from the Salesforce. When the leading CRM provider wants in and supports your platform, it certainly says a lot – especially since Talkdesk integrates directly with CRM functionality. 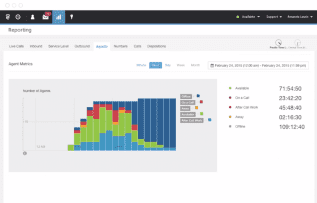 As a revolutionary and unique solution in the industry, Talkdesk has gone on to win a number of awards and recognition, including the CRM solution of the Year for 2015-16 from the Cloud A wards 2016, Forbes Next Billion-Dollar Startup 2016, and even Customer Magazine’s 2015 Customer Contact Center Technology Award Winner. The solution Talkdesk provides has managed to take clunky, complicated legacy solutions and turned them into agile, simple, cost effective cloud-based platforms. Giving back to the tech community, just as they had received funding and support in the early days, Talkdesk even went as far as to launch the Talkstart Program in October of 2015. Through this program, Talkdesk supplies technology startups with free Talkdesk software licenses to establish a foundation of supreme phone-based customer service, and sales. The provider has also gone on to include SMS and texting capabilities to the Talkdesk platform. 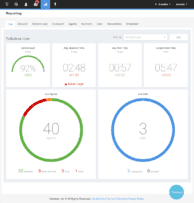 If searching for a cloud-based, cost-effective and as simple as possible contact center software, look no further than Talkdesk. What Do You Think of Talkdesk?